Pure and natural, a superior cleanser to use for hand, bath or shower, leaving your skin feeling soft and clean whilst not stripping your skin’s natural oils. It’s even gentle enough to use on your face as a cleanser. 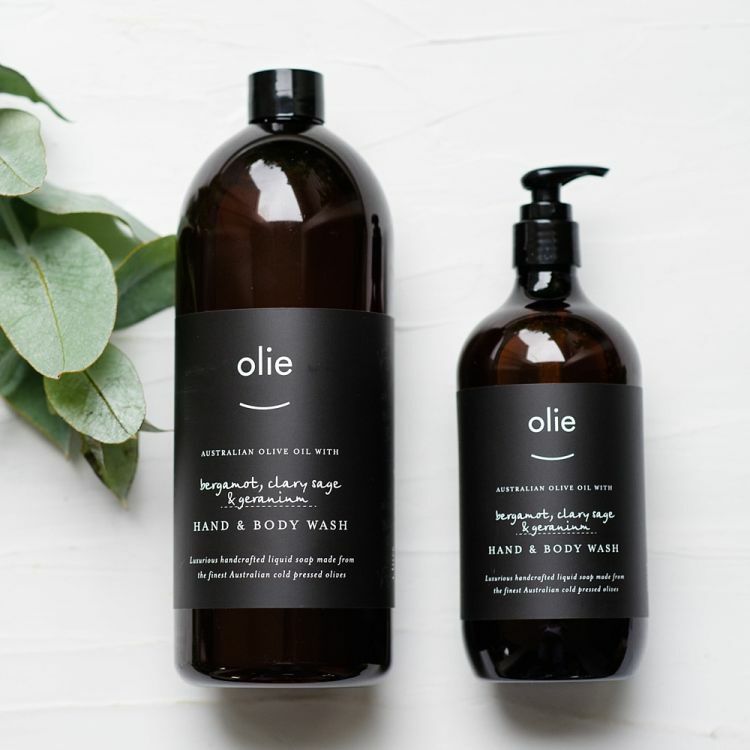 Made from local cold pressed extra virgin olive oil which is rich in antioxidants and Vitamin E. Our hand & body wash provides a deep cleansing effect whilst protecting and nourishing your skin. It will not dry out your skin like most others washes do. You will be amazed how it makes your skin feel, many people describing it as an ‘experience’ rather than just a daily routine. Hand crafted from start to finish, we promise you will notice the difference. Suitable for all skin types, and especially sensitive skin.